Nokia’s first touchscreen phone, the 5800 XpressMusic is likely to priced at Rs 20,000 in India and will be available from November, according to reports. 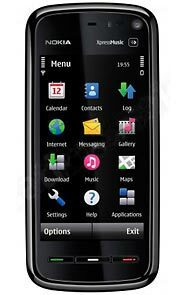 Nokia 5800 has been unveiled globally and it has been defined as Apple iPhone 3G killer. Wi-Fi, 81 MB internal memory and a microSD slot.